SOFA for the living room from Italy Fratelli Allievi in gold antique finish can become the center of your living room . Light gray upholstery fabric embroidered with golden threads , which gives a royal look sofa . Classic Baroque style never goes out of fashion . The Baroque style is associated with luxury, pomp and elegance. Interior items made ? ?in this style show its greatness and beauty. 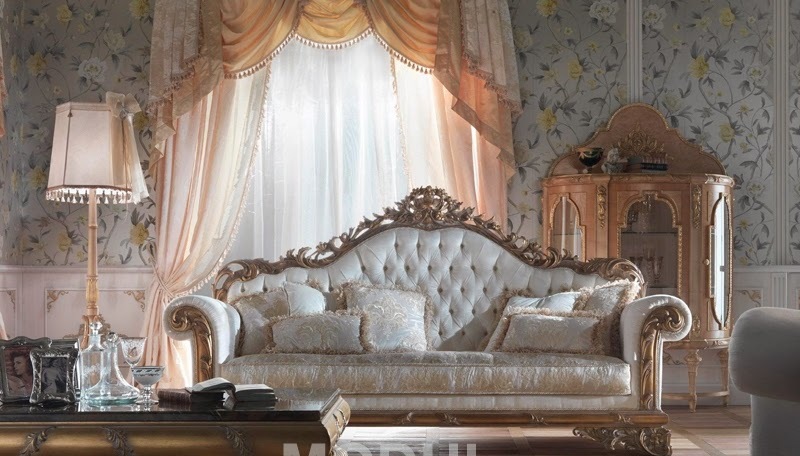 Decorate your home with Baroque-style furniture and your guests will marvel the stylish interior of your home.